Sammy Wilson’s name has been forever cemented into Celtic’s history books. He was part of the legendary Celtic side who beat Rangers 7-1 in the never to be forgotten 1957 League Cup final and he had the privilege of opening the scoring. Sammy’s striking partnership with Billy McPhail was renowned and they tore Rangers apart on that glorious day in the Hampden sunshine. 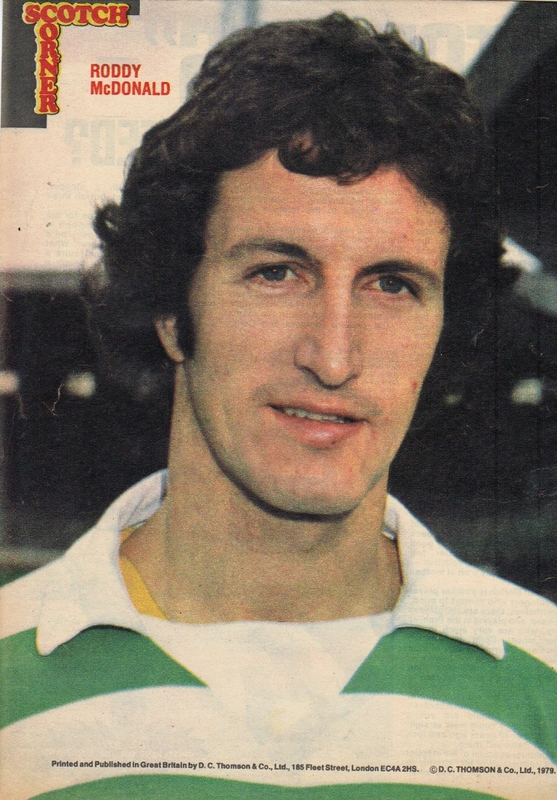 In 1972 Sammy was up in Brora and recommended the teenage centre half Roddy MacDonald to his old team mate Jock Stein. Roddy was taken on and in August 1973 Roddy made his debut at Arbroath in a League Cup game on the night that the great Bobby Murdoch played his last game for Celtic. Stein knew that Billy McNeill couldn’t go on forever and was keen to plan ahead with having Roddy as understudy to big Billy until he retired. Periodically the young Roddy played in the first team and had an outstanding game alongside George Connelly in defence when Celtic won 3-1 at Tynecastle in late 1973 in front of a packed crowd of 33,000 the likes of which Tynecastle will never see again. In the summer of 1975 McNeill retired and Roddy had fought off Frank Welsh for the right to make the centre half position his own. It was an intimidating prospect taking over from McNeill and he was still raw and it showed in certain games. In early 1976 Celtic crashed out off the cup at Fir Park after blowing a two goal lead and the focus of blame was put firmly on the defence. 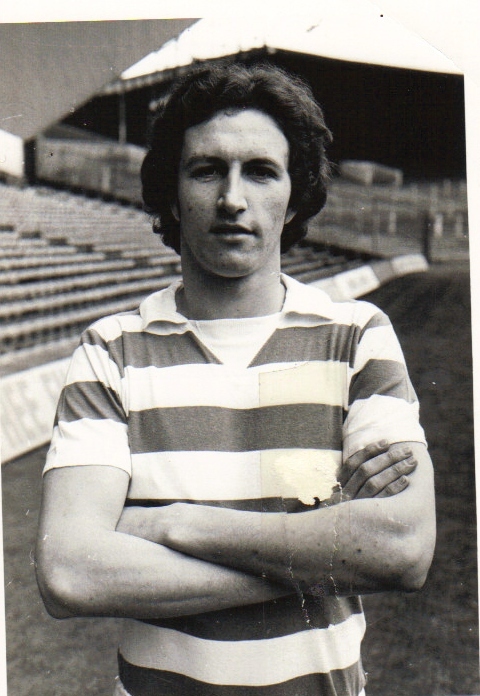 Roddy was replaced by an even younger Roy Aitken and although he played a spate of games at centre forward in late 1975/76 season he was never cut out to be a striker. 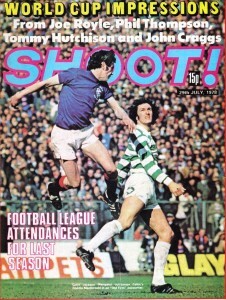 With Aitken impressing at centre half Roddy’s Celtic career was at the crossroads in the summer of 1976. Stein knew he needed an old head in defence and Pat Stanton’s inspired signing gave him just that. With Aitken pushed up into midfield the learned Stanton took Roddy under his wing and turned him into the best centre half in the country. The partnership between Stanton and MacDonald was the rock on which the double success of 1977 was built on. Roddy gave a tremendous performance in the 1977 Cup Final when he blunted the threatening Rangers aerial attack of Parlane and Johnstone. 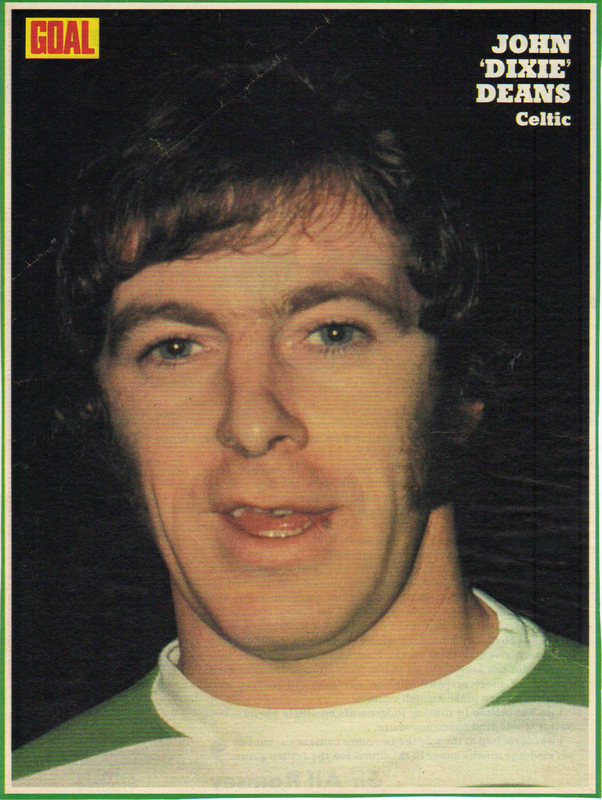 Roddy was one of Celtic’s few successes in the abysmal 1977/78 season and was an ever present. He made Ally McLeod’s 40 man Scotland squad for the World Cup in Argentina although he didn’t have a real chance of making the final cut of 22 players and he was a regular in Scotland’s under 23 squads in the mid 70’s. At this point Roddy was a great asset at set pieces and could be relied upon to score several goals a season and he was particularly dangerous after the arrival of Davie Provan in 1978 with Provan being such a superb deliverer of a cross ball. When McNeill returned as manager in 1978 Roddy was one of the experienced players he looked to for his new look Celtic. Roddy was a regular in the title winning season in 1979 but missed the run in through injury and also the legendary league clinching 4-2 victory over Rangers with Tom McAdam taking his place for the last few games after converting from centre forward. The following season he was again a consistent starter in the side although injury again cost him his place in the 1980 Scottish Cup winning side, midfield player Mike Conroy this time stepping into the breach. In 1980/81 Roddy lost his place to the centre back partnership of Aitken and McAdam although he had returned and had an excellent game in April in Celtic’s 1-0 win against Rangers at Ibrox which all but clinched the title. In July 1981 it was a major surprise when Billy McNeill allowed him to move to Hearts for £50,000 especially when the inferior Willie Garner arrived from Aberdeen as his replacement for a similar fee. Garner was not to last long and Roddy’s experience was to be greatly missed. 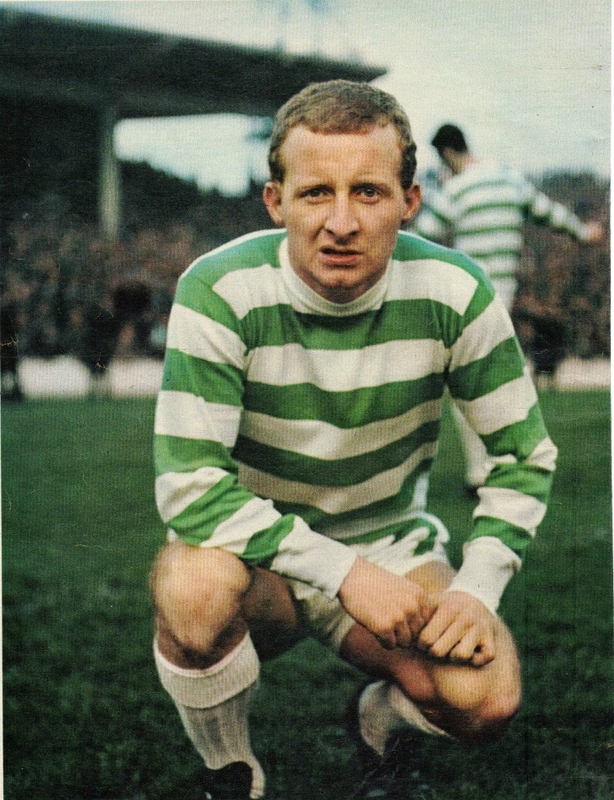 Roddy MacDonald was excellent in the air and scored a good number of goals in a Celtic jersey. 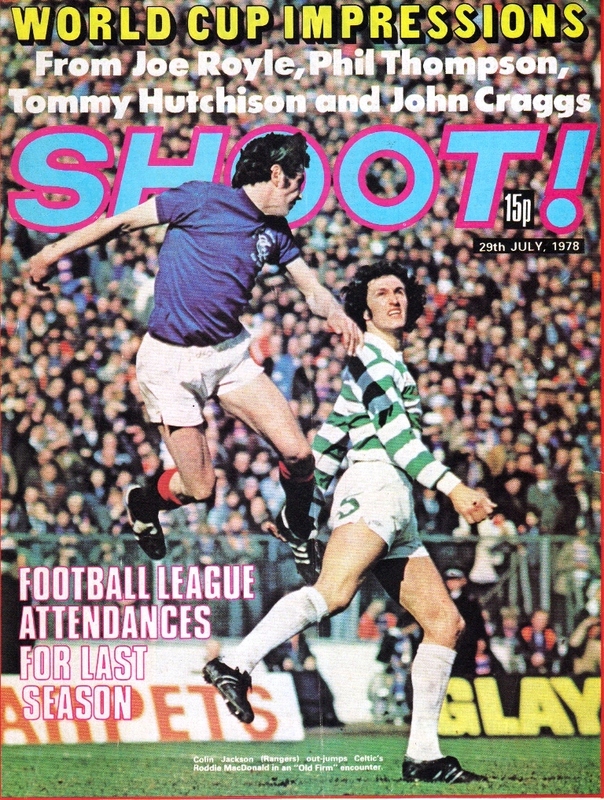 He had a happy knack of scoring against Rangers and is possibly best remembered for his winning goal in the Old Firm game at Celtic Park in October 1979, powerfully heading home a Davie Provan corner kick as a faltering Sandy Jardine tried in vain to clear it off the line. ‘Roddy the Proddy’ as he was affectionately known in the vicinity of the Jungle was a fine servant to Celtic and made a splendid total of 252 first team appearances and scored 34 goals. He won three league winners medals, two Scottish cups and one league cup. On retiring from football he became a serving officer with the Strathclyde Police Force. The big defender was a great servant to Celtic and is fondly remembered by those Celtic fans who watched him play.